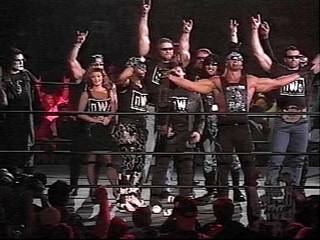 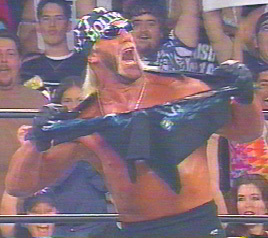 The first version of the nWo is reborn in the WWF in February 2002 of of Hall, Nash, and Hulk Hogan. 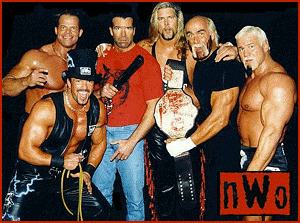 The nWo's latest members in May 2002: Ric Flair and The Big Show. 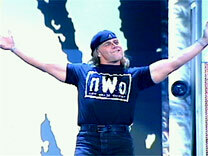 The nWo's latest members in June 2002: The Heartbreak Kid, Shawn Michaels!!!. 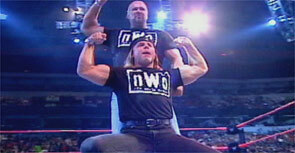 Another pic of Shawn Michaels & Kevin Nash celebrating his entrance in the nWo. 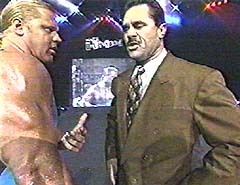 This was also Shawn's first WWF/WWE live event appearence since late 2000 in the "who ran over Stone Cold" angle.